We've updated the Style Crate and Coin Shop for the season, with warm coats, winter and holiday themed outfits and special emotes to get you ready for the end of the year! You can check out the full list of items on the Style Crate Contents page, including special weapon skins, badges and more! The Maple Alliance has launched the Sky Fortress, and the factions aboard are equipping themselves to show their pride in their cause! 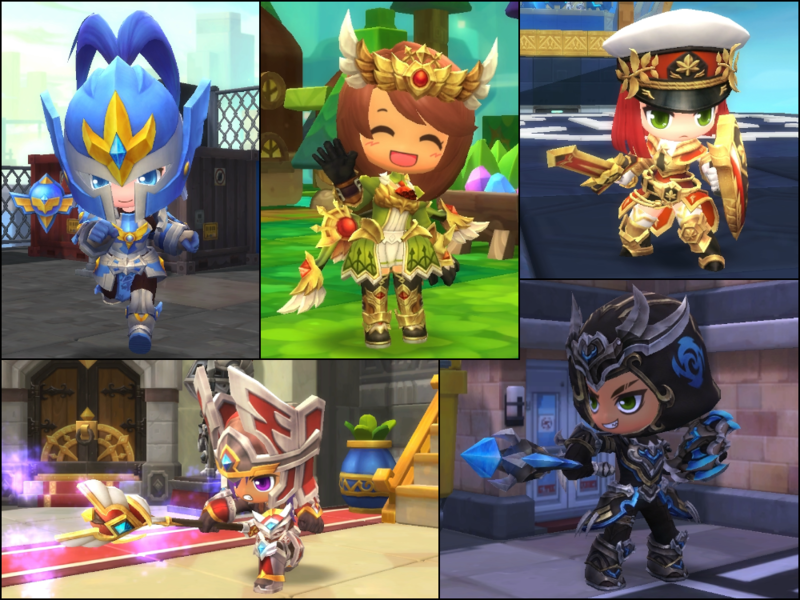 Get a special package of outfits, designed for each of the factions, with the Maple Alliance Faction Outfits packs! KITTY! The Meret Market has received three of the most adorable little kittens, with Cheeze, Millie and Sasha now available to keep you company in Maple World, feed you potions and bat away tombstones that land on your head! A new job means a new UGC template for you to be creative with... and then we tossed in three more for good measure! A simple cube and a complex dodecahedron for the Soulbinder's Orb weapon, a blade template with a detailed pommel and crossguard, and a crescent-shaped chakram with plenty of room for creativity. 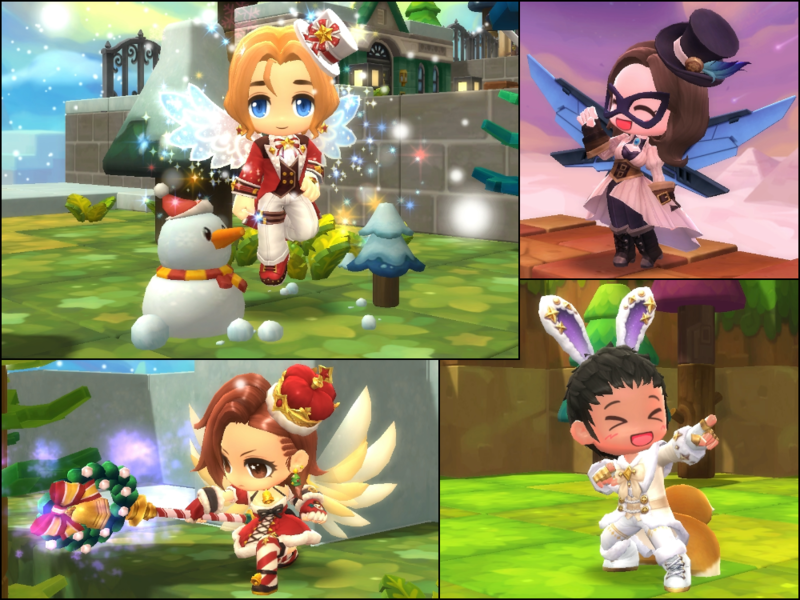 Get them from the Maple Workshop and create your own masterpiece! 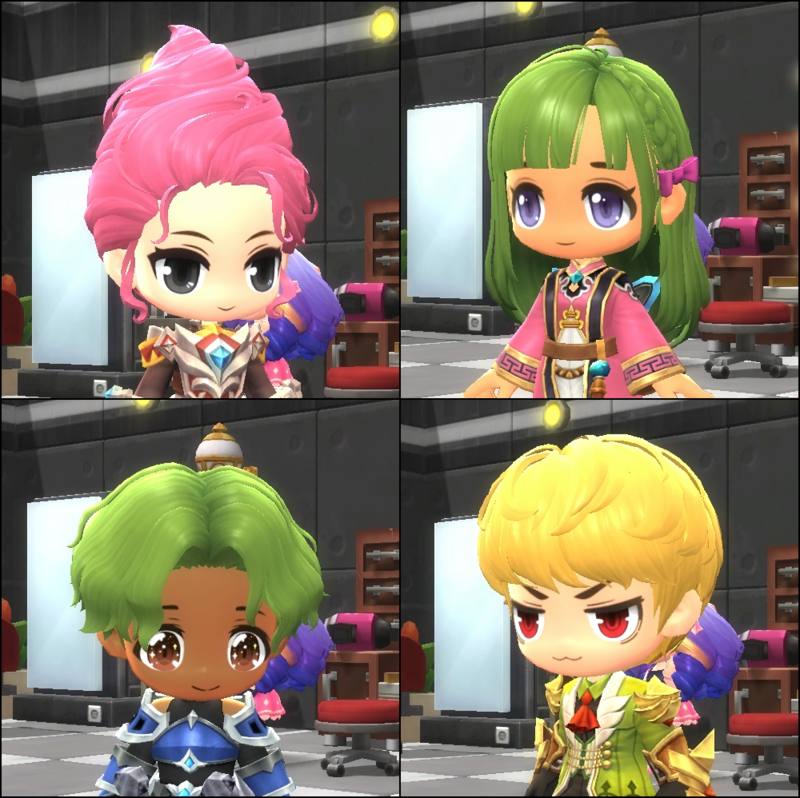 Paulie's been practicing and has a new quartet of hairstyles you can get from his special hairstyles! With the Medium Volume Perm, Casual Parted Hippie Perm, Cute Ribbon Hair and Softserve Hairdo, there's no bad styles with Paulie! The holidays are upon us and we have a special Furnishing package to help you celebrate it! 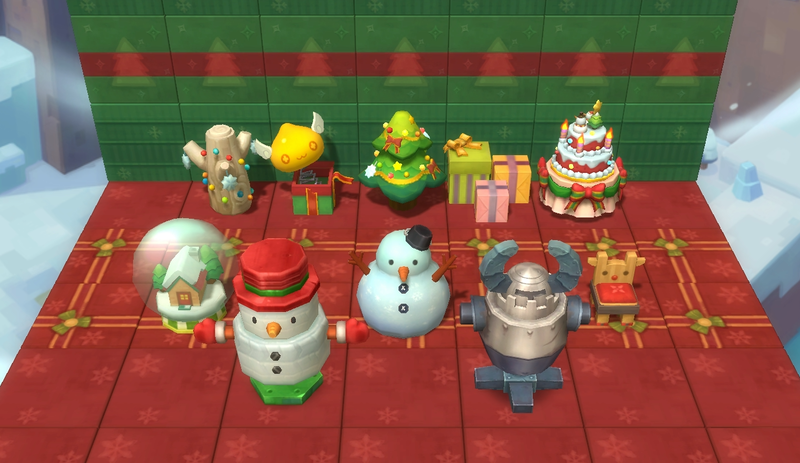 Grab the Holiday Furnishing Package, and get a collection of holiday themed decorations for cheap! 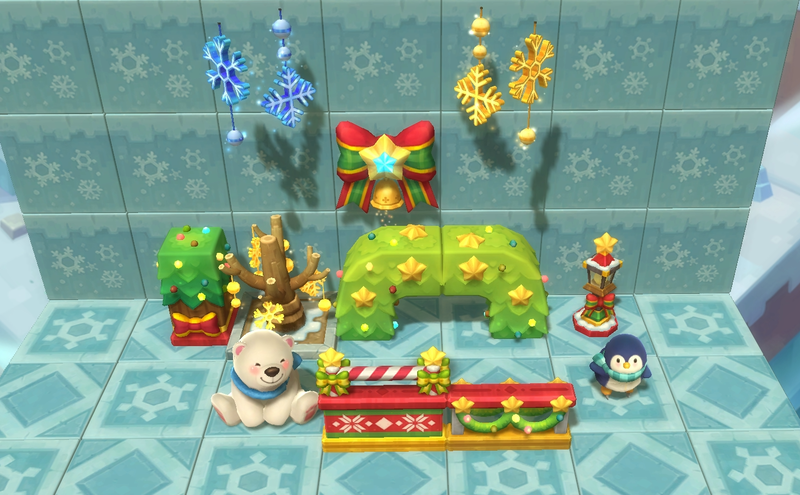 December is here, temperatures are dropping and the snow is falling, and you can decorate your house to best fit the frozen outdoors with the Ice Rink Furnishing Package, featuring 13 decorations at a 24\% discount! Doctor Dixon and Ren have everything you need to give your face the perfect makeover! 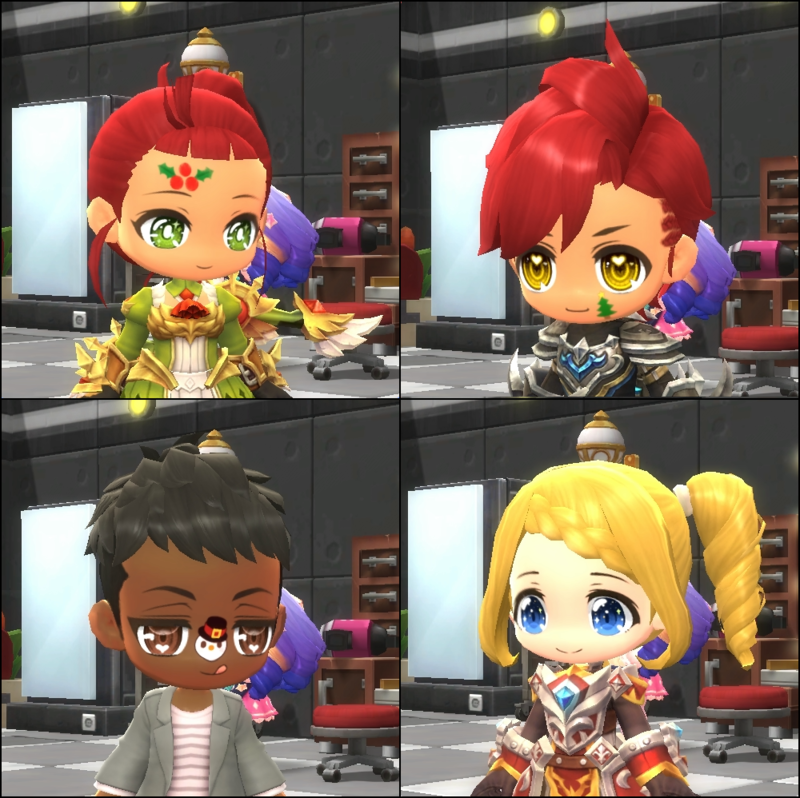 Dixon has four new cheerful face styles, and Ren has a trio of holiday-themed cosmetic additions to accentuate the season! Visit Doctor Dixon at Tria Plastic Surgery on Beauty Street to purchase one of the new Face styles! Visit Ren at Rosetta Beauty Salon on Beauty Street to purchase one of the cosmetics!